Lee Library at Chatham Hall: 60's Night! Join us for another trip back in time in the library. 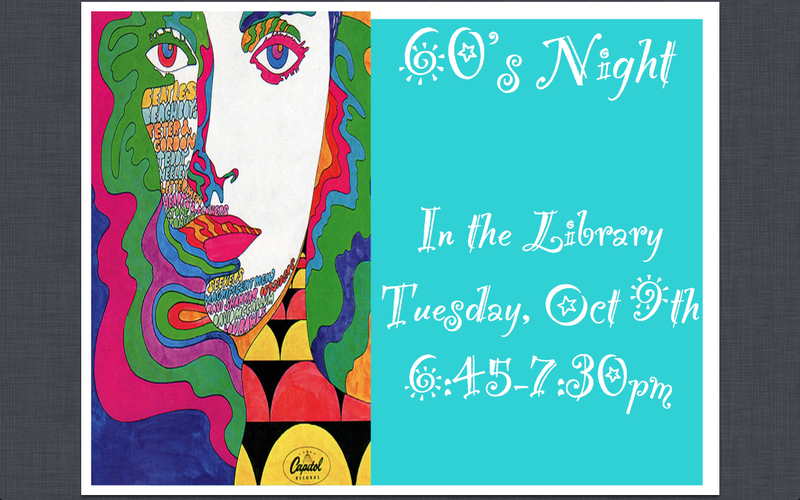 As always, snacks, music and free 60's books will be provided!